Texas PRIMA's sponsorship year runs in conjunction with the timing of the organization's annual conference (November to November). Within each level of sponsorship, sponsors are ranked by a point system and listed according to their level of involvement. HOW CAN I BE LISTED IN THE BUYER'S GUIDE? Provides risk management solutions to tax-supported institutions, city and state governments, educational and transportation districts, and nonprofit agencies. We are intimately familiar with the exposures faced by the public sector as well as the usual constraints related to budgets and staffing. Because every public entity has special needs all their own, we search the globe to find just the right fit. Whether its alternative risk transfer vehicles such as self-insured pools, offshore captives, loss portfolio transfers, OCIP programs, or foreign reinsurance placements, the McGriff team has the contacts and resources to get the job done. In addition, we have significant internal experts such as transportation risk management consultants to provide expertise and resources to owners of large bus/auto fleets. For more than 55 years, York has been delivering results our clients can see and feel. We serve corporations, the insurance industry and public entities to reduce risk and drive high-quality outcomes. We do this by offering integrated and customized solutions including risk management, claims administration, managed care and absence management. With our data-driven and compassionate approach, we deliver on our mission of reducing risk and getting people and organizations back to health, work and productivity. York is headquartered in Jersey City, New Jersey. You can learn more at yorkrsg.com. TRISTAR – transforming risk into opportunity for 30 years! 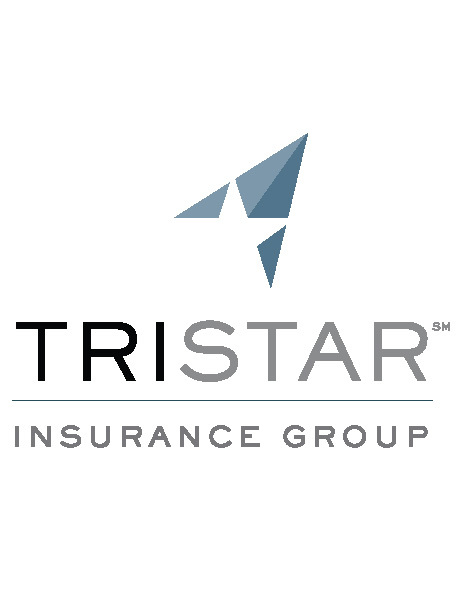 TRISTAR is the largest independently-owned P&C claims administrator in the country. We provide best-in-class third-party administration, medical management, and benefit administration — serving self-insured public entities and corporations, captives, program managers, insurers and reinsurers. TRISTAR provides workers’ compensation, liability, employee benefits, FMLA, excess, and catastrophic claims management. We combine proven claim fundamentals with flexibility and freedom to customize. Our comprehensive approach is designed to reduce your overall cost of risk, helping to protect your bottom line and support your long term success. The TRISTAR team is proud to support Texas PRIMA! 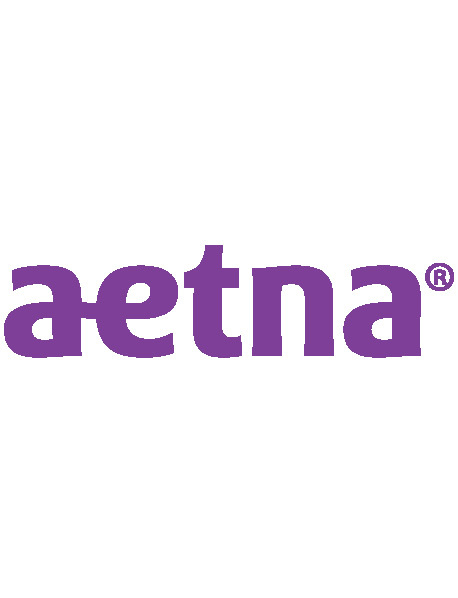 Aetna is one of the nation’s leading diversified health care benefits companies. We serve an estimated 46 million people with information and resources to help them make better health care decisions. We offer a broad range of traditional, voluntary and consumer-directed health insurance products and related services. These include medical, pharmacy, dental, behavioral health, group life and disability plans. We also offer medical management services, Medicaid health care management services, workers’ compensation administrative services, and health information technology products and services. Our customers include employer groups, individuals, college students, part-time and hourly workers, health plans, health care providers, government-sponsored plans, labor groups and expatriates. Shrinking budgets and staff, new regulations and increased demands for services are forcing today’s public sector risk executives to do more with less. In addition, climate change, technology advancement and population growth continue to stress the existing infrastructure and change both the levels and types of risk present. 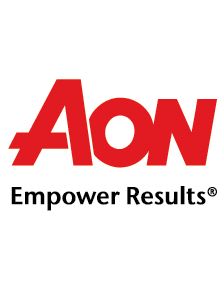 To address these challenges, Aon Risk Solutions turns to its Public Sector Practice, a team of professionals serving our governmental, quasi-governmental and other public sector clients. Nationally, the practice has a network of over 100 colleagues who serve in account management, brokerage, sales, claims, risk control, actuarial and additional areas. Moreover, our national group is part of a global network of public sector practices that include Canada, the United Kingdom and Australia. Aon professionals in these countries share information and insight, enabling our clients to remain informed of global trends. 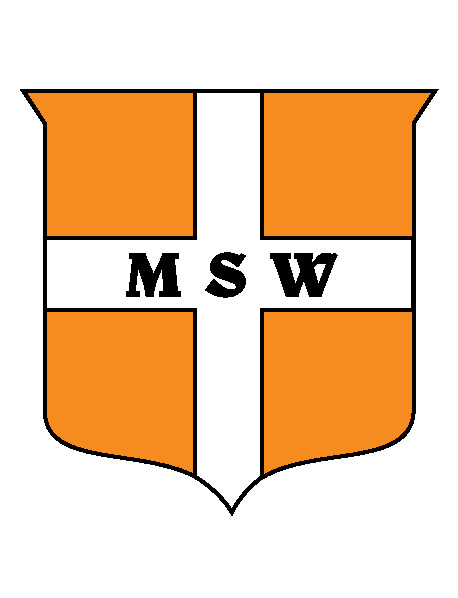 Founded in 1983 in Houston. Provides quality and cost-effective claims administration with an emphasis on customer service for public and private entities. A diversified health and well-being company dedicated to designing products, providing services and applying technologies that improve access to health and well-being services, simplify the health care experience, promote quality, and make health care more affordable. UnitedHealthcare designs comprehensive, flexible and affordable health care benefit plans and services. The Surplus Lines Office of Texas (SLTX) administers the State of Texas’ excess and surplus lines insurance marketplace with meaningful data, compliance, and educational resources to support the growth and viability of specialty insurance. A global health service company, dedicated to helping the people we serve improve their health, well-being and sense of security. Injury Management Organization, Inc. (IMO) is a managed care company serving private and public employers, nonsubscribers, insurance carriers and third-party administrators. Core services include utilization review, medical bill review, provider networks and case management. With more than two decades of experience, our focus is driven by provider relationships, employee engagement, and measurable outcomes. Third-party administrator, PMA Management Corp. has extensive experience with public risk management. In fact, 1 in 3 of our clients is a public entity, representing over 150 clients, including government entities (state, county, and municipal), public education systems, and utilities. We provide complete, multi-level claims and risk management services. With a 98% client retention and a 95% client satisfaction rating per an independent survey, PMA Management Corp. delivers tangible value every day, striving to exceed our clients' service expectations and maximize their financial results. We are part of PMA Companies, a subsidiary of Old Republic International Corporation, a Fortune 500 Company with consolidated assets of approximately $19 billion. Provides superior workers’ compensation and property/casualty coverage to public entities for 29 years. Our administration of insurance programs helps control costs through competitive pricing and aggressive claims management, reduces claims by offering free loss control, and ultimately frees financial resources for other needs. Munich Reinsurance America, Inc. Specialty Markets Division provides multi-line coverage solutions to be delivered through a single point of contact for public entities. Through meaningful partnerships and consultative services, we develop customized risk transfer, risk sharing and risk management solutions with a full range of property and casualty insurance and reinsurance capabilities. Midwest Employers Casualty Company (MECC) focuses exclusively on providing workers’ compensation excess insurance products to individual employers, groups and insurance companies, nationwide. MECC is the only excess workers’ compensation insurance carrier using predictive analytics to identify potential high-cost claims early. Our best-in-class excess claims management team provides intervention strategies that effectively help clients save money, while producing the best outcome for the injured worker. MECC is a member company of W. R. Berkley Corporation, a Fortune 500 company, and has an A. M. Best rating of A+ (Superior). 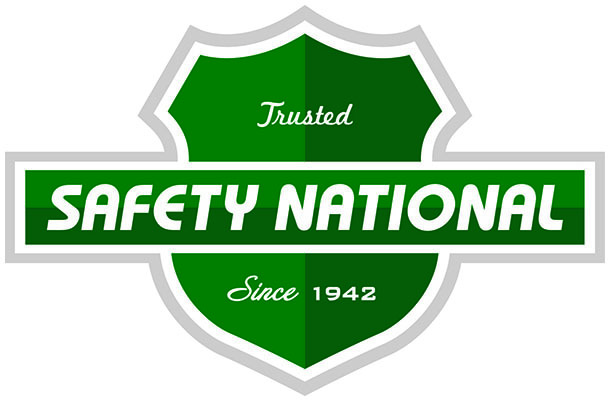 Safety National® is a multi-line specialty insurance carrier that offers a variety of risk solutions for large commercial and public entity clients. The company has built a loyal client base by practicing a relationship-focused approach to customer service – listening closely to customer needs and designing flexible programs to address them, providing complimentary risk management resources to help improve safety and compliance programs, and offering specialized claims management proficiency to help produce the greatest possible outcomes. A market leader since 1942, the company is a member of the Tokio Marine Group and is rated “A+” (Superior), FSC XV by A.M. Best. North American Solutions (NAS) has more than 50 years of experience helping clients to achieve cost-effective insurance and risk management solutions. 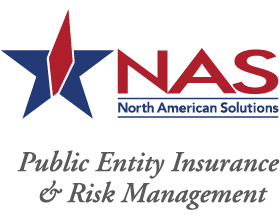 NAS is part of an $8 billion family of companies providing insurance and financial services for more than 4,000 public entities throughout the United States. CRS specializes in Risk Management, Loss Control and Emergency Management consulting services. Our focus is on helping public entities identify and manage their Total Cost of Risk. In addition to the typical suite of services that would accompany a consulting firm like ours, we help our clients identify opportunities to retain risk and communicate cost benefit regarding such business decisions to senior administrators. Since we started in 2001, we have helped our clients save millions of dollars by deploying sound and sustainable risk treatment techniques that support a true Enterprise Risk Management framework that has strategic, repeatable and positive outcomes. True expertise in public sector risk management is hard to find, especially with the complexity of risk management issues growing exponentially. Having worked with the public sector for 40+ years, our Public Sector practice is the largest area of expertise. We dive deep to understand your unique organization and its people, the specific risks you face and your tolerance for those risks. We then tailor a solution that accounts for each unique requirement. Our risk management solutions include: insurance brokerage; risk management consulting; loss control services; enterprise risk management; insurance pools; alternative risk financing; RM tools and technology support; and claims advocacy. Offering comprehensive risk management solutions to its members in the areas of Auto, Liability, Property, Workers’ Compensation and Unemployment Compensation coverage since 1974. The Fund continues to operate successfully under an exemplary service philosophy and standard built on the “5 S” principles of strength, savings, stability, service, and simplicity. All coverage and services offered are customized to the unique needs and exposures of Texas school districts, community colleges and other related educational entities. The TAC Risk Management Pool provides member counties and county other governmental entities with full risk management solutions and coverage for workers' compensation, auto, property, general, public officials, law enforcement and cyber liability. The Health and Employee Benefits Pools also provide health and unemployment compensation. The TML Intergovernmental Risk Pool offers comprehensive risk coverages and loss prevention services to nearly 2,800 local governments in Texas. The TMLIRP provides liability, property, and workers' compensation coverages that are designed specifically to meet the needs of local governments. Travelers is the market leader in public entity property and liability insurance. Together with our clients, we improve risk management programs and return injured employees to work. Through collaboration, we provide a proactive, healthcare driven process for injured employees while simultaneously working towards cost-conscious solutions that reduce your company's costs. 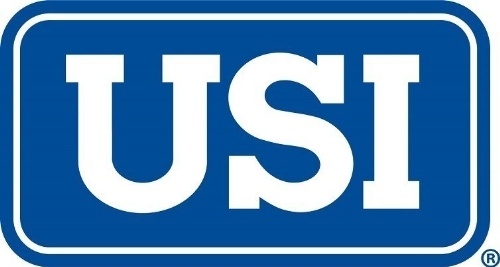 USI is a national insurance brokerage and consulting firm with more than 140 local offices connected across the U.S. and a leading market position in all core businesses. USI - Texas offices have developed a deep team of risk consultants specializing in public entity risk management. A national appraisal practice specializing with public entity clients; particular expertise with complex utility, historic and educational properties. Celebrating over 30 years in business, our clients include pooling concerns, traditional insurers, agencies and individual public and nonprofit entities of various all types and size. Doing business in virtually all 50 States, we enjoy a significant presence in the Lone Star State and have been consistent Texas PRIMA Sponsors for many years. AIG Commercial Insurance is a leading provider of and services for the full spectrum of enterprises – from large, multinational, and mid-sized companies and institutions to small businesses, entrepreneurs, and nonprofit organizations across the globe.We are focused on being our clients’ most valued insurer through an unwavering commitment to our customers, our strong capital position, extensive risk management and claims experience and our ability to be a market leader in critical lines of business insurance. Versant Health is one of the nation's leading managed vision care companies serving more than 33 million members nationwide. Through our Davis Vision and Superior Vision plans, we help members enjoy the wonders of sight through healthy eyes and vision. 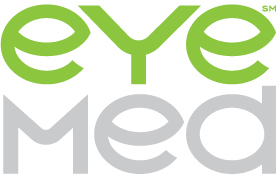 Providing vision and eye health solutions that range from routine vision benefits to medical management, Versant Health has a unique visibility and scale across the total eye health value chain. As a result, members enjoy a seamless experience with access to one of the broadest provider networks in the industry and an exclusive frame collection. For more information visit versanthealth.com. A subsidiary of highly regarded Frost Bank, a 100+ year old, $10 billion+ asset Texas-based firm, we are a full-service independent insurance agency with access to virtually all of the highest rated insurance carriers and service providers. Frost offers both fully-insured and partially self-funded insurance products and services for a full range of workers’ compensation, property, casualty, and employee benefits programs. A wide variety of risk management consulting and support services are also available. Frost specializes in public entity risk management and insurance products and services. With 200+ insurance employees in offices throughout the state, Frost is one of the largest, most experienced and respected insurance providers based in Texas. 1-2-1 Claims is now part of Athens Administrators. Athens Administrators delivers the industry's most comprehensive, flexible and cost-effective claims administration solutions. Using innovative technologies and practices, we reduce the length of disability and overall cost of claims. Our commitment goes beyond providing claims management and managed care services. We are dedicated to your success, to creating opportunities and to being a partner that you can count on to help to solve your biggest challenges. Athens Administrators is a privately held and family owned company that has provided claims administration services for insured and self-insured workers' compensation programs for over 40 years. In the State of Texas Athens has extensive experience with handling claims in both the subscriber and non-subscriber workers' compensation arenas. Premier provider of personalized employee benefit solutions. Genesis Management and Insurance Services Corporation is the premier alternative risk insurance provider, offering innovative solutions to meet the unique needs of its public entity customers. A wholly-owned subsidiary of General Reinsurance Corporation, Genesis offers unsurpassed financial security. Underwriting expertise, superior claim handling and consistent performance are the core values that define the Genesis team of professionals. Our collective experience, knowledge and collaborative approach enable us to provide stability and consistency to our clients. Trident Public Risk Solutions is a proven leader in the public sector insurance and risk management marketplace. We operate through a distribution network of national brokerages and local agencies, serving more than 2,500 municipalities, counties, public K–12, community colleges, special districts and risk-sharing pools. Trident delivers superior risk control resources, expert public entity claims personnel and first class underwriting service. From small and midsize local governments purchasing packaged guaranteed-cost coverage to larger public-entity risks that require unique funding and reinsurance mechanisms, Trident is your comprehensive platform for public sector risk management solutions. CCMSI is a national third-party administrator that provides property and casualty claims management services, including workers’ compensation, liability and property from 37 office locations across the U.S. We offer clients a wide range of risk management services including: claims administration, loss control, medical managed care and internet-based risk management information technology. Chubb is the world’s largest publicly traded property and casualty insurance company. With operations in 54 countries, Chubb provides commercial and personal property and casualty insurance, personal accident and supplemental health insurance, reinsurance and life insurance to a diverse group of clients. The company is distinguished by its extensive product and service offerings, broad distribution capabilities, exceptional financial strength, underwriting excellence, superior claims handling expertise and local operations globally. Parent company Chubb Limited is listed on the New York Stock Exchange (NYSE: CB). Chubb maintains executive offices in Zurich, New York, London and elsewhere, and employs approximately 31,000 people worldwide. Claims Administrative Services (CAS) is a workers’ compensation third-party administrator and program provider specializing in public risk since 1991. CAS has years of experience in claims management, loss control and medical cost containment. Innovative offerings such as web-based claims reporting and claims data analysis, as well as dedicated safety expertise and resources, have enabled us to effectively serve public entity clients throughout the south central United States. CAS offers products that include individual self-insured TPA services, placement of excess insurance, educational entity risk pool and more. Whether you work directly with us or through a private exchange, our focus on choice makes it easy for you and your clients. More choices means more employees enroll, use their benefits, and stay in-network, which results in fewer out-of-pocket costs, more savings, and greater overall satisfaction. That’s why we’re the only vision benefits company to offer 61,000 providers nationwide customer care 362 days a year, and flexible plan options with exclusive savings and additional plan offers. Delta Dental Insurance Company provides market-leading dental benefits for individuals and group clients of all sizes. Our enterprise has been providing smiles through our Delta Dental PPO and DeltaCare USA for more than 65 years. We believe that quality means more than coverage for the plan you want; it means getting the support you need. Delta Dental and its affiliates collectively represent one of the country’s largest integrated dental benefits systems, administering benefits to approximately 35 million people throughout 15 states, the District of Columbia, and Puerto Rico. Trinity Review Services, Inc. is on pace to become one of the leading medical managed care companies in Texas. Our proven commitment to quality reviews and prompt turnaround responses have become a talking point in the Workers’ Compensation Industry. Our experience in providing cost effective solutions have allowed us to partner with many of the large insurance carriers, school districts and cities throughout Texas. Lytx® is the global leader in video telematics. Our safety technologies and services are dedicated to helping fleets reduce risk, cut costs, and save lives. More than 2,200 clients -protecting over 650,000 drivers use our customizable, scalable solutions to increase their safety, efficiency, and compliance. The Lytx DriveCams' safety program combines event-based video telematics with a driver-focused coaching workflow to help fleets identify risky behaviors and improve driver performance. Our Unisyn video telematics offers always-on video telematics to enable deeper insights into fleet and field operations. Learn more at Lytx.com. Origami Risk is the industry's top-ranked Risk Management Information System (RMIS). With speed, ease-of-use and powerful workflow, Origami Risk improves productivity, better manages Total Cost of Risk and enables our clients to be more successful. Liberty Mutual Equipment Breakdown specializes in serving the needs of self-insured groups such as; pools of governmental risk, captives, joint insurance funds, trusts, risk purchasing groups, risk retention groups and groups that utilize fronting arrangements. Liberty Mutual Equipment Breakdown offers direct and assumed solutions for the broad spectrum of governmental risk. Impress your board with multiple competitive quotes for budget critical property insurance. Your property schedule needs high quality data, current defensible values, and proper formatting to attract interest from underwriters and generate competitive pressure in the market. Outsource the complex, time-consuming, and frustrating spreadsheet update to Asperta, a recognized expert providing independent and cost-effective property submission preparation and support services. Your SOV will be accurate, attractive to underwriters, and optimized for Hail/Flood/Hurricane models. Texas PRIMA references available. 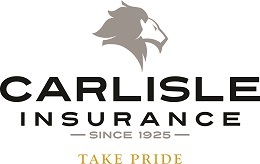 Founded in 1925, Carlisle Insurance Agency, Inc. understands that stability is important. Carlisle Insurance Agency offers a wide range of coverage options for Public Entities. We are partnered with the largest risk management programs in Texas and recognized as a leader in the industry. We specialize in wind/hail coverage for those risks located along the Gulf Coast in Tier 1 counties. Whether it is property/casualty or workers’ compensation, Carlisle Insurance Agency provides risk management and loss control services that you need to keep insurance costs at a minimum. Novare Texas was founded in 2005 and remains an independent, privately-held, workers’ compensation cost-containment company. Novare’s services include case management, utilization review, medical bill review and custom 504 network administration. Novare is committed to efficient and effective cost containment with a high responsibility to quality, service and local representation. Our services are uniquely tailored to meet our customers specific needs. Our staff is highly professional and among the most experienced and innovative in the industry. . Pate Rehabilitation provides comprehensive post-acute rehabilitation for persons with acquired brain injury and has a long standing CARF accreditation for brain injury and stroke across residential, outpatient and vocational services. Our unique programming is based on an internally developed treatment scale (PERPOS) that has been validated with industry benchmark outcome tools. This individualized care maximizes recovery potential with a strong focus on patient driven goals that enhance quality of life. Alamo Insurance Group was purchased in January 2010 by Brown & Brown Insurance Services, the 7th largest National Insurance Brokerage firm in the United States. Alamo Insurance offers a broad range of insurance and reinsurance products with access to various carriers to match those markets to your insurance needs. Servicing more than 65 public entity clients in the State of Texas. As a full service agency duly licensed in the State of Texas, Alamo participates in all forms of insurance placement and consulting services for property and casualty, group health benefits, risk management, and claims administration. Precision Safe Sidewalks/Precision Concrete Cutting specialize in sidewalk asset management services. Our services include Sidewalk Safety Inspections that deliver GPS locational information along with pictures, dimensions and descriptions of sidewalk defects of all types. Our report detail will justify the repair expense. We also provide quick, cost-effective removal of sidewalk trip hazards. We use revolutionary equipment and processes to remove trip hazards by saw-cutting. We do NOT grind! This "green" process not only completely eliminates the dangerous tripping condition every time but also leaves an attractive, safe ADA compliant result. Morrison Investigations is an all female Private Investigations firm located in Ft. Worth, TX. Morrison Investigations has 13 licensed female investigators who specialize in surveillance. When it comes to Workers Compensation Fraud Surveillance, Pre-Trial investigations, or Medical Disability Investigations, we get results!! Who we are? Brinson Benefits is a leading employee benefits advisory and patient advocacy firm with offices in Dallas, Fort Worth and Austin. What we do? Brinson Benefits helps mid-market companies transform their employee benefit programs from a necessary evil to a meaningful differentiator. ISYS provides ‘Best in Service’ and ‘Best in Outcomes’ medical case management and related services to the workers’ compensation industry’s most discerning claims professionals. We currently service the needs of injured and disabled workers, employers, direct insurers and third-party administrators. ISYS Nurse Case Managers are highly credentialed and experienced, and they also specialize in catastrophic and complex files. At ISYS we are dedicated to intensive injury management, early intervention and CaseSmart™ return-to-work solutions. The Jenkins Agency, Inc. is an insurance brokerage and consulting firm offering risk management and insurance solutions to public sector entities in Texas since 1998. Whether its third party claim audits, training, risk management best practice reviews, OCIP administration or insurance placement; all services provided are supported by our combined 60 years experience in the industry and our commitment to innovation and diverse ideas driving the industry today. We're passionate about what we do and we're guided by our desire to help our clients exceed their goals. Our clients include municipalities, transit providers, water districts, and other public sector entities. Medata is the premier provider of cost containment and document management software and service solutions in the workers' compensation and auto liability industries. Since the company was founded in 1975, Medata remains a leading innovator and continues to master efficiencies in technology that ensures a seamless solution. Medata's bill review software serves as the central hub to your cost containment program, while the document management solution allows you to process and organize all claim-related documents. Medata is proud of the relationships it has built and the reputation it has earned by offering solutions to meet today's needs and tomorrow's demands. We at Berkley Public Entity concentrate solely on public entities. Our expert team dedicates itself to their insurance – covering individual public entities, risk sharing groups, pools and trusts, counties, municipalities, and schools. We are loss severity and litigation experts, but more than that we are focused on delivering partnership beyond the policy. Our value is in the relationships that we foster with our brokers, clients, and vendors.